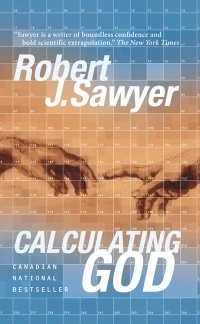 Robert J. Sawyer » Blog Archive » Calculating God wins the Audie Award! by Rob - May 30th, 2009. Filed under: Audible, Calculating God, Milestones. 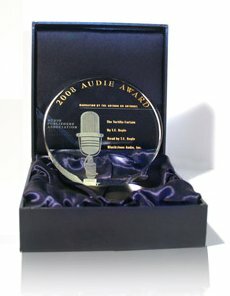 I’m super-proud of the team at Audible.com that produced the audio version as an original production for their Audio Frontiers series, including narrator Jonathan Davis. Childhood’s End, by Arthur C. Clarke, Narrated by Eric Michael Summerer, Audible, Inc.
« What’s green and white and red all over? The U of S alumni magazine!